4 Tage eintauchen in die Welt des Pranayama Und das Thema: "Yoga practice do's and dont's as per traditional texts"
"About Pranayama and Traditonal Text "
"This workshop is suitable for beginners and well as seasoned practitioners. We will practice Classical Asanas, Pranayama and Meditational techniques. There will also be time for personal consultation. Very often, yoga practitioners and critiques alike, complain, "we have been practicing for years, but we don’t see benefits that are mentioned in the texts” and then they directly question the validity and authenticity of the texts. The topic of the workshop directly addresses the above issue. Yes texts do mention the benefits however, in the same breath they also emphasize that to ensure the benefits, a practitioners has to follow certain discipline in terms of do’s and don’s. In this workshop we will discuss the do’s and don’s as mentioned in several texts and also practical ways to implement them. The texts that will be discussed are, Patanjali yoga sutras, Hathapredipika, Gheranda samhita and Ashtanga Yoga of Saint Carandas. This workshop is suitable for beginners and advanced practitioners alike. The morning will begin with pulse reading, preparatory practices and Pranayama Practices. The second session will include Theory, Q&As, chanting, Asana, Pranayama and meditation. There will also be individual consultations offered for participants. At the end of the workshop, based on pulse analysis and Ayurvedic constitutional analysis, for continuing participants a progression or advancement in practice will be suggested. For new participants appropriate pranayama practice will be recommended which will help them advance. 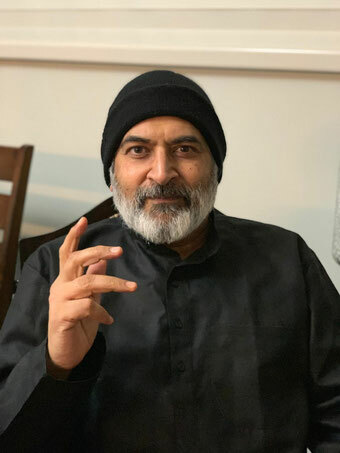 Mit Sudhir Tiwari ist Pranayama ganz einfach Pranayama. Greifbar, verständlich und einladend vermittelt Sudhir sein umfassendes Wissen durch seine einnehmende, warme Ausstrahlung. Dabei ist er ganz nah an den überlieferten Schriften und doch zeitgemäß. Wer ihn einmal erlebt hat, der weiß, wie klar und angenehm es ist, ihm zu folgen und wie alltagstauglich Yoga sein kann. Der Workshop mit Sudhir bietet Einblick in eine wahre Schatztruhe an Wissen und Erfahrung. 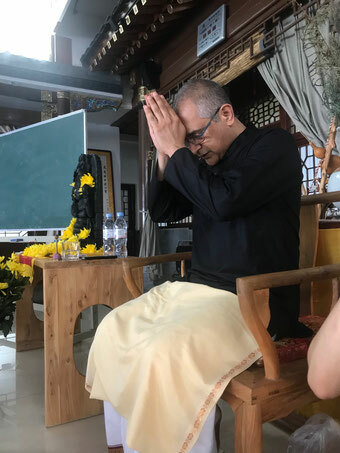 In diesem Workshop führt Sudhir in die Welt der traditionellen Yogapraxis. Der Fokus liegt auf den Techniken des Pranayama, doch Asanas, Kriya, Ayurveda und Meditation gehören ebenfalls in das runde Programm. Sudhir ist direkt an dir dran (durch die Pulskontrolle) und berichtet grundlegend aus der Perspektive der Gesundheit. Yoga und Ayurveda gehören für Sudhir zusammen, daher werden in diesem Workshop die Grundkenntnisse des Ayurveda vermittelt, um die gesundheitliche Wirkung des Pranayama deutlich hervorzuheben. 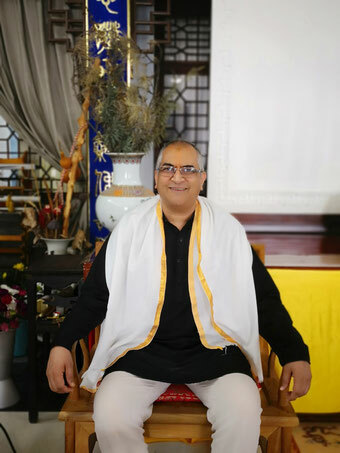 Sudhir Tiwari ist Direktor des Kaivalyadhama Institut in Canada und reist weltweit, um sein Wissen und seine Erfahrung in Yoga (Asana, Pranayama, Meditation, Gesang) und Ayurveda zu vermitteln. Ebenso besitzt er Kenntnisse im Bereich der alternativen westlichen Medizin. Des Weiteren verfügt er über einen Bachelor of Engineering von der Bangalore University Bangalore, Indien, und einen MBA von der St. Josephs University, Philadelphia, USA. Sudhir lebt heute mit seiner Frau und zwei Kindern in Toronto, Kanada. Sein Mantra: positiv atmen, Yoga atmen. Pranayama und Meditation: Was? Warum? Wie?